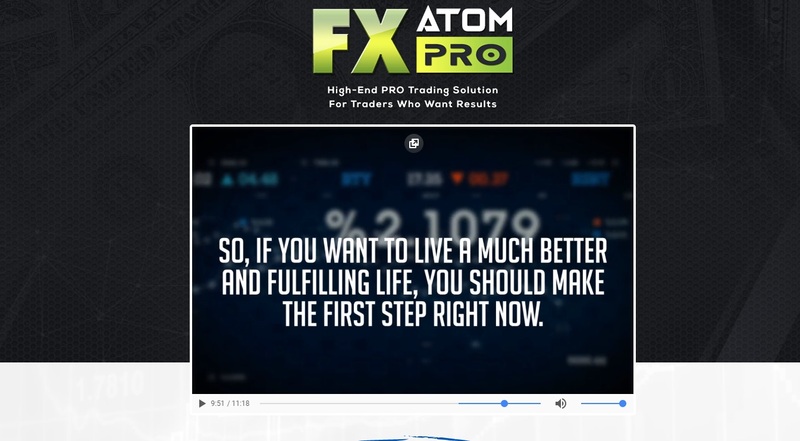 In this review of FX Atom Pro you will learn why you should not buy this Forex trading program from Karl Dittman. FX Atom Pro is a signal software, which means that it will generate trading signals for different currency pairs for you to trade. This software can allegedly predict price reversal and provide you with reliable trading signals. FX Atom Pro cost $147. Is it worth this price? If somebody tells you that he or his software “simply knows where the price will go next”, he is a scammer, there is no other way. We have been trading for more than 10 years and we know for sure that nobody knows where the price will go and nobody can exactly predict all reversals. Karl Dittman is a fake name, the real author of this software remains anonymous. Why? Make your own opinion. How do we know it? He admits it in the disclaimer. And not only that, he also admits that all trading results that he is showing on the FX Atom Pro websites are fictitious. Everything is fake. 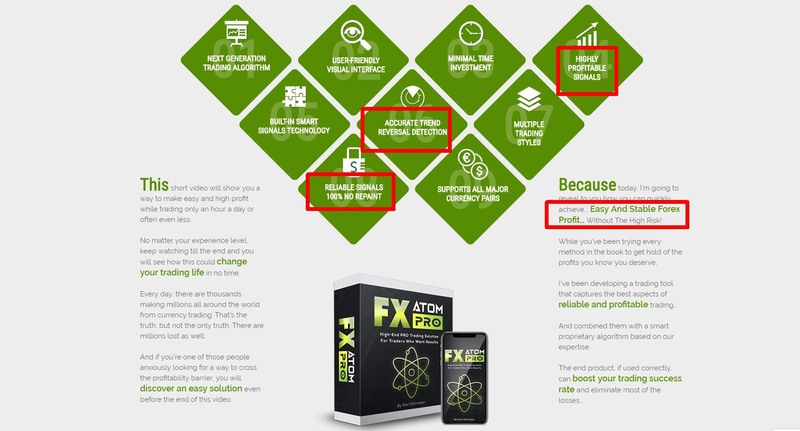 FX Atom Pro is a typical scam trading product sold through Clickbank. It is a piece of crap that is losing money in the long term. But because not everybody will ask for a refund that they are entitled to, the Dittman scammer will make some profits by selling his piece of crap. FX Atom Pro is a scam full of lies, the software certainly cannot predict price movements. Stay away from it! If you really want to make profits in trading, build your own profitable strategy. You can try and do that on a free demo account. Software that can really make money in trading is not free, nor costs a few bucks. Hi is Tradedax.com legit or not Christ I’ve already funded my account with these guys. Hi, Tradedax is not regulated, I recommend staying away. How do I check if a broker is regulated or not? I want to open an account with Swing Options but their website looks dodgy with some errors here and there. How can I check if they’re regulated? Hi, a regulated broker has to provide information about the licence on its website. Typically you will find it at the bottom of every page. Then you should also verify that information with the concerned regulator. For example if a broker claims to be regulated in the UK, you can verify it on the Financial Conduct Authority website (https://register.fca.org.uk). Swing Options claim to be based in the USA, so you can check with the SEC (https://www.sec.gov) and see that they are not regulated. Also I would go only with brokers that are regulated in a country with a strong regulation, like the US, Australia, EU. Because with all due respect, Vanuatu and similar destinations have not a particularly strong regulation. Thank you John, I was thinking about buying this software because it really gets a lot of attention. Hi, do you know if any direction account manager by the name of Troy Dickson, he wants me to invest on Bitcoin and promise to manage my account. So, he is offering investment advice. Ask him to show you his license. Hi what is your opinion for XM broker for trading and which is the best & trust able Forex robot? Hi, XM is a regulated broker, so it should be OK. But I don’t know about any profitable robot.